Dancing with the Stars may be off for the summer but Julianne Hough is just starting!!! Soooo Glad she loves to go braless! David Letterman ends with "The only thing I have left to do for the last time on a television program... thank you and good night"
After 6,028 shows and 19,932 guests and 33 years Letterman says Good Night! 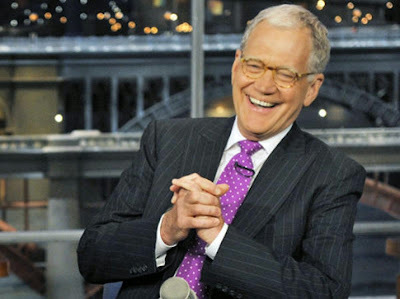 We'll miss you Dave, you always had something for us to watch Late Night, what will we do, Sleep! 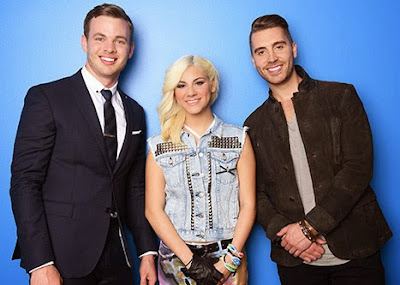 Congrats Nick Fradiani you were one of the best, put I was hoping for Jax's, I really thought she had it. Now I'm not the fan of American Idol that I once was, five years ago I wouldn't have missed one live show, I still watch them but I watch them on my slow season in the summer. Sad thing, and it's been coming for a while American Idol has been canceled, ya that’s right next year will be the last season. I have most every show since it began and I loved the old format where they showed more on the contestants and less on the judges. Let’s tip one up for American Idol a great show, Cheers! I'll bet that came as a real surprise, NOT! But of course she as most of the others just had to say, it was stolen or my X is pissed and this is their way of getting even, OK whatever. Guilty Pleasure here, Yes I would so do Courtney Stodden!!! Enough said, enjoy her pics here until the video comes out.